This entry was posted in Life in Crete, Places. Bookmark the permalink. 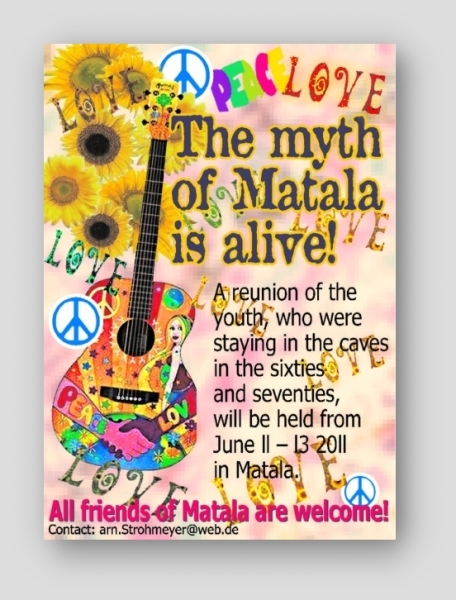 my name Is Alan Collins from Scotland i stayed in Matala in 1966 as I remember our cave was called the Hilton. I remember many people from my stay and all those who shared a beer together . i tell my grandchildren of the trek over the mountains on a mule and the great times we had at the little bar near the beach .to anyone who shared these times I wish them love . Good day! I just want to give you a huge thumbs up for your excellent info you have right here on this post. I will be coming back to your site for more soon.